experienced as a pastor whose gospel is a blueprint for contemporary Christians. 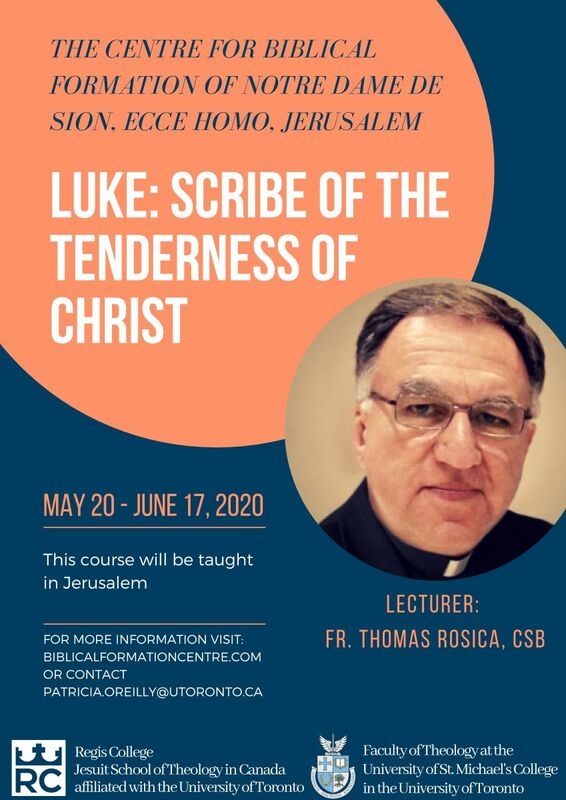 This course will be taught in Jerusalem. Biblical formation is at the heart of the life and ministry of the Congregation of Notre Dame de Sion. The Centre for Biblical Formation in Jerusalem offers programs of study centred on the Word of God: drawing on Jewish sources and tradition; visiting sites related to thebiblical text; reflecting on relevant Church Documents; and engaging with the peoples of the Land.